Wishing Everyone A Very Beautiful & Blessed Thursday Morn’! Let’s Talk for a Minute…. Oh, no, let’s talk! That means she is going to write a book. No, I promise I will try to keep this as simple as possible. As you all know, we packed up into the little clown car and went to the doctor with me. Good news and contrary to popular belief around here, I do not have any screws loose. Everything is still in place and looks good. Now for a few changes and a few apologizes. First, I would like to apologize to all the male witches in The WOTC. I am apologizing for the joke that I allowed to be put on here the other day in our “A Little Humor for Your Day” section. The joke was about Women vs. Men and it offended several of our brothers in our group. I take full responsible for allowing this joke to appear on our site. I deeply apologize for it offending our brothers, it was not my intent at all for this to happen. I would never intentional offend anyone on this site. But it has been called to my attention that this joke did offend the males in our community. For this I deeply apologize. My current state of mind is not in a humorous state. I depend on others to provide articles and information each day for our daily posts. I depend on them to find humorous material as well as informational material. I just glanced at the title, thought it might be funny and unfortunately it was not. It was offensive. Most of you who know me, know I am not one to bash others or even other religions. I am upset with myself for not taking time to fully read the article and even more upset that I hurt and offended some in our group. Along with the joke being called to my attention, I was once again called out for not giving more information on male witches in the Pagan community. I asked several of these gentlemen if they would like to write an article or two about what is it like for a male to be in The Craft and their personal experiences. I would like to extend that offer to all the male witches in our community. As you know, most of us here are female witches. We would love for some of the male witches in our community to speak out and write about their own personal experience and what witchcraft is like from the male’s point of view. If you would be interested in doing that, please let me know. I would love to have some male writers on here with us. By writing an article, you would open up the conversation on male witches and The Craft. Someone has to start it and I would love for it to be one of our own male witches to do so. It doesn’t have to be anything elaborate, just something to get the conversation started and then maybe we will hear from more male witches. I would love to hear what it is like to be a male witch in The Craft. I know all witches face stereotypes and myths and I would imagine the male witches face even more than the female witches do. So I would love to hear from you and have you write an article. Again I am very sorry for this offensive joke and till my head gets back into a more humorous state, we have discontinued that section of our daily posts. Please accept my apologizes it was not our intent to offend anyone. Next, we have received no articles on the topic of Imbolc for the newsletter yet. I would appreciate some recipes, some rituals, some spells or anything pertaining to Imbolc. Yesterday I tried blackmail, I am going to try it again. 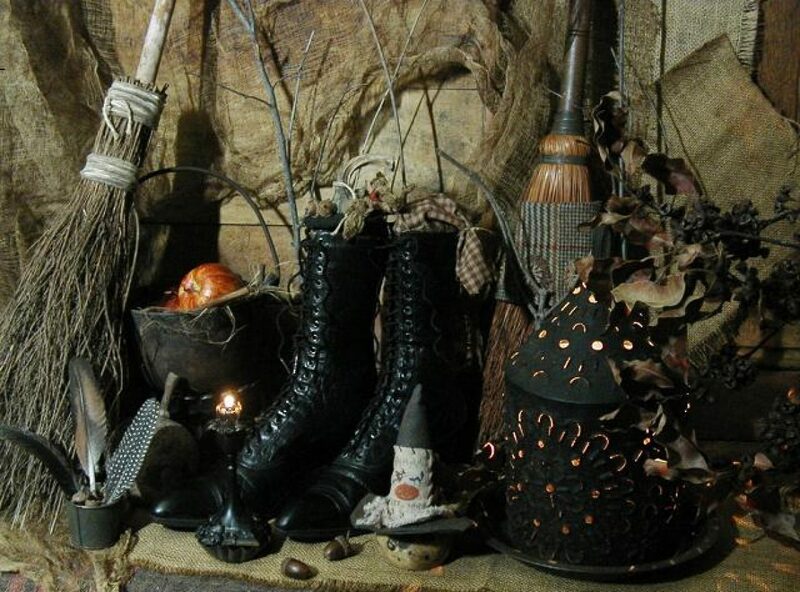 If you send in an article about Imbolc, whether it be a few home made recipes for potions or a meal, or anything pertaining to Imbolc, I will offer you this….anything in Magickal Necessities at our cost plus shipping. This is a good deal and you would be saving a lot of money as well as the wicked witch’s rump. So if you have anything you would like to share about Imbolc, please email it to: witches_of_the_craft@outlook.com. Your articles and input to the upcoming newsletter would be greatly appreciated. Next, our new organization. Lady Beltane and myself had a long talk this morning and she told me she didn’t like the name of the organization, Pagans for Political Action. I had to agree with her, I never really liked the name for it either. But it was something that just popped into my head while I was watching the News one evening. We have now changed the name of our organization to…..Pagans In Actions. Which personally I like much better. We know we started the organization because of the current government shut down. But we wanted the organization to be more open to current events that might be effecting our world. I believe Pagans in Actions covers just that. We want to be involved in anything that might be harmful to our planet, abusive to our animals, injustices toward our veterans, political issues that do not benefit the majority as a whole, basically anything that is harmful to mankind and our planet. With Pagans in Actions, we can address a wide variety of issues and we plan on doing just that. Right now, we are hot and heavy on the government shut down, who knows after that we could go after the horrible treatment our veterans are receiving. If you find out a wrong doing or a miscarriage of justice even in your local community, then we want to know about it. We will address any and all issues that directly effect us and our environment. Don’t worry, your voice will be heard because we plan on having meetings every three months so you can come and voice your opinion. Let us know what is important to you, let us know where you concerns are, perhaps we can even come up with a way to address gun control in this country. Who knows the possibilities are endless. We have the power to change things and we are going to use that power to do just that. I believe it is high time we got off our broomsticks and started to weave our magick for the betterment of our world. Time for talk is over, now is the time for action. The donations for The Government Relief Fund are starting to come in. We sincerely appreciate those but as usual we need more. I believe I read today the shut down is in day 27 and still no end in sight. For those of us who have jobs and are fortunate enough to be working, please give what you can. 800.000 people with no income coming in, can you believe that? I can’t. It is astounding to me to even think about that many people not having anyway to pay their bills, buy food or pay for the daily necessities. I listened to one federal worker this morning who was interviewed and they asked him how much longer he could hold out, without a paycheck coming in. He said two weeks, then he didn’t know what he was going to do. In two weeks time, there could be a possibility of 800,000 people starving and possibly put out on the streets. We all have families, we all have hearts, we can’t stand by and let this happen to our fellow man. We have to take action and that action is to donate what we can to help these people when they need it. So please, whatever you can give is deeply appreciated and will be needed in the days to come. *Also remember this organization is open to all Pagan groups who might want to get involved. I am going to fix a page that shows all the sites involved in our new organization. Join Pagans in Action, get free advertisement for your site, hey a plus, plus! Last but not least, since I have a ton of things to do and we are running so late today, we are posting the horoscopes and everything over on the Gazette again. The Gazette has joined our efforts in raising money for the Federal Workers. They also have a donate button on their site in case you are over there and want to donate. I hate to have you hop all over the place but I have tons of stuff I have to get done. I have to get together Imbolc information, I have to build a new website for Pagans in Action and make a new banner. I told you yesterday that the banner I showed you was a rough draft and boy was it rough. We decided to change it. So I have tons of stuff to get done and this is about the easiest way I can think of to get your horoscopes to you. Besides there is some other interesting stuff over there, for instance information from the Old Farmer’s Almanac. I love the Almanac it is always chalked full of info. Come on over in a bit and see what’s happening for the rest of the day and tomorrow. Oh, one more thing and I will hush and get to work or else I won’t get anything done today. I have decided to put my talents to work for the relief fund. Since I am continuously broke and want to contribute like everybody else, I have decided to go into the website making business. You need a website built contact me and I will give you a price and the total proceeds from that job will be donated to the Federal Workers Relief Fund. Should be able to add to the fund rather quickly that way. Just contact me, we will get together, talk about what kind of website you want and go from there. You will not only be getting a great website(I know don’t break your arm patting yourself on the back) but you will be helping out a great cause at the same time. Now I am through talking your ear off. We will back here tomorrow posting as usual and hopefully I will have the new addy for Pagans in Actions at that time. *Forgot to add, Lady Beltane is a pretty smart witch. The funds we are collecting for the Federal Workers Relief fund, she has opened a savings account and the funds are now drawing interest. Which is something I would never have thought off but the donations are making money which means more funds for the workers when they need them. Now pat her on the back, lol!